This performance fit polo shirt is ideal for playing golf this season, with stylish sublimation print front panel to give you some added confidence. 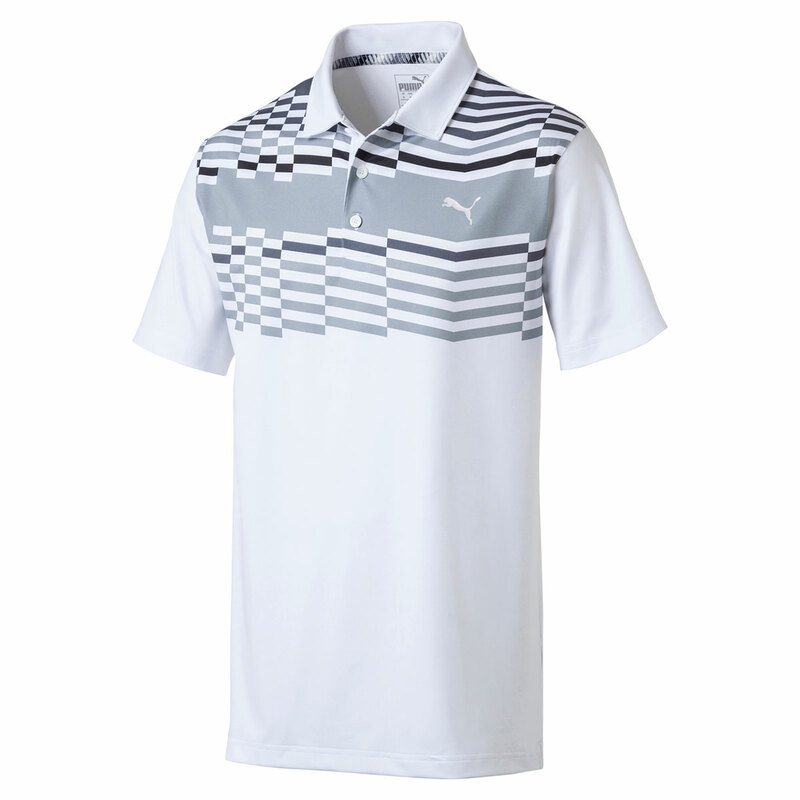 The shirt has been constructed with a moisture-wicking stretch fabric to ensure you can play golf with less distraction. This ensures greater mobility and draws sweat away from the body to keep you dry and comfortable. 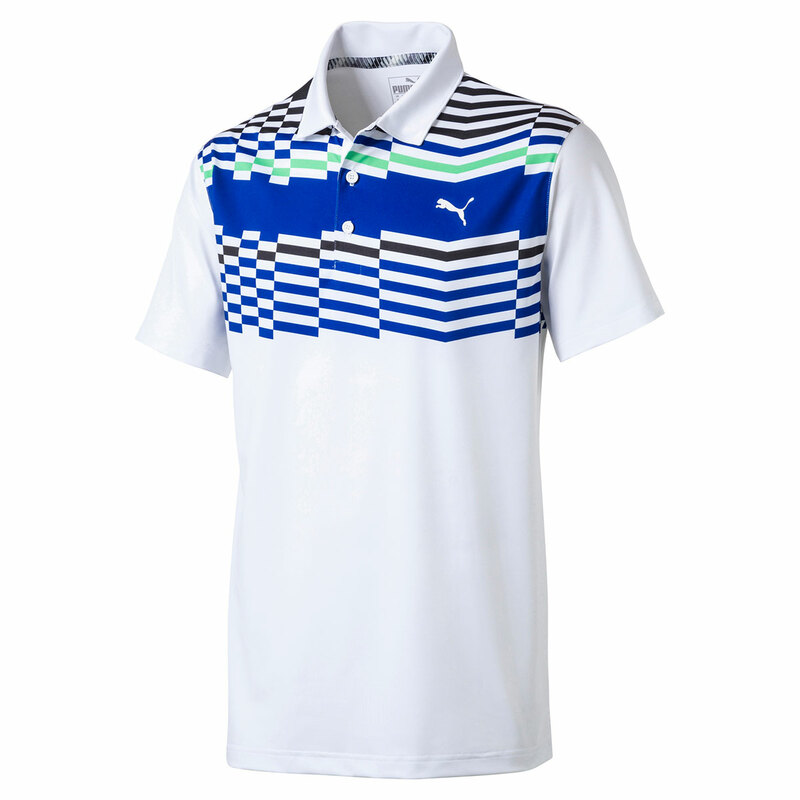 The shirt has front sublimation stripes, with three button placket and fold over collar for added style, and is highlighted with a 3D heat transfer PUMA Cat on the left chest, and 18 Hole loop label on the back collar.